I was playing around with Google Maps the other day and noticed that for my office building, in Street Views, Google is showing the office building number, in a water mark like style above the building. 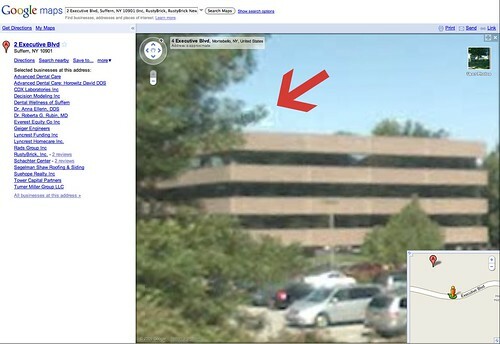 Notice the "2" above the building, I point to it with an arrow above. You can see it yourself by clicking here. I am not sure if this is new, but it is useful to know that this building is indeed 2 on that block.